Space-rated connectors, cables and electro-mechanical devices are a unique class of highly-regulated interconnect technologies that utilize specialized materials, processing and testing to insure reliable performance during launch and throughout operation. Space launch vehicles and payloads are subjected to shock, vibration, and acoustic stress factors which can damage interconnect systems – particularly if material strength, mating retention forces, contact retention technologies or other design elements of connector/cable components are inadequate for peak and/or sustained levels of mechanical stress. 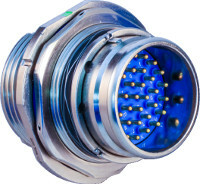 Glenair has been providing space-grade connectors and interconnect cable solutions meeting NASA, ESA, and JAXA outgassing requirements and MSFC-STD-3012 connector requirements since the earliest manned space flights. We understand the highly specialized mechanical, electrical and optical performance requirements for data, video and communications in exoatmospheric vehicles and apply the utmost care in the design and manufacture of all our space-rated technology from ultra-lightweight hold down release mechanisms for CubeSat deployment to blind-mate assisted release force connectors for vehicle docking. 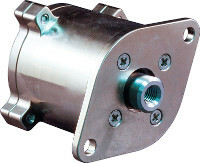 Space-grade circular blind-mate connectors IAW MIL-DTL-38999 for use in interconnection and separation of instrumentation panels, satellites, scientific research payloads, and other release applications. Reduced Cost of Ownership, Easy Integration, and High-Performance for Flight and Lab Grade Cable Assemblies. Every element of the MIL-DTL-83513 Micro-D is exactly controlled – from terminal spacing to approved wire termination methods. Glenair is the world's largest manufacturer and supplier of these wire-to-wire and wire-to-board interconnects. Flight-proven and ESA, NASA, and JAXA qualified. 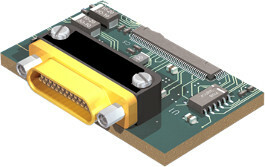 The smallest and lightest mil-qualified connector series. The 32139 Nano is ideally suited for rugged defense and aerospace wire-to-board applications.